As good as Justice League was this month, HBO Go and HBO Now are getting a couple of legitimately acclaimed films as part of their new streaming offerings in August: Darkest Hour and Three Billboards Outside Ebbing, Missouri. 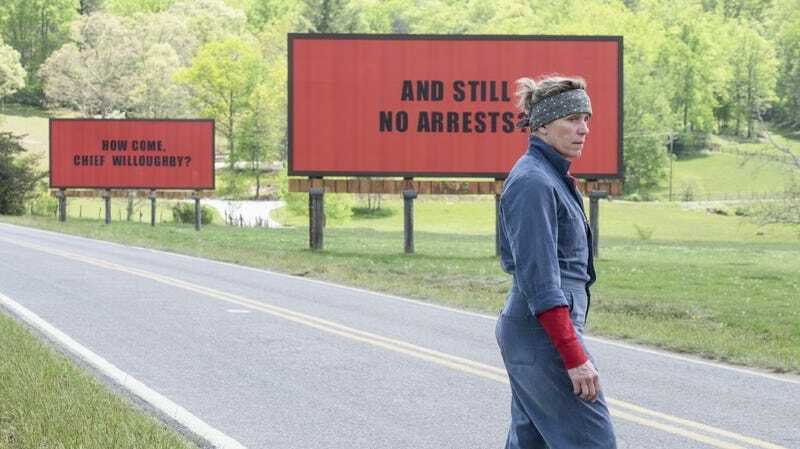 Of course, the acclaim those movies received was also a bit controversial, with Gary Oldman winning the Best Actor Oscar largely on the strength of his Winston Churchill prosthetics and Three Billboards racking up a bunch of awards despite a redemption arc for Sam Rockwell’s racist cop that struck some viewers as tone-deaf (at best). But hey, now you can see and judge both movies for yourself. HBO subscribers will also be able to check out Father Figures, a movie that we wouldn’t have had to look up if it had retained its original title Bastards, and Murder On The Orient Express, a film that dares the audience to ask, “Why does Johnny Depp keep getting roles?” HBO is also getting new seasons of Ballers, Animals, and Insecure, as well as that Taxi movie that Jimmy Fallon made with Queen Latifah. In other words, it’s a pretty good month. The full list of what’s coming to (and leaving from) HBO Go and HBO Now in August is below.